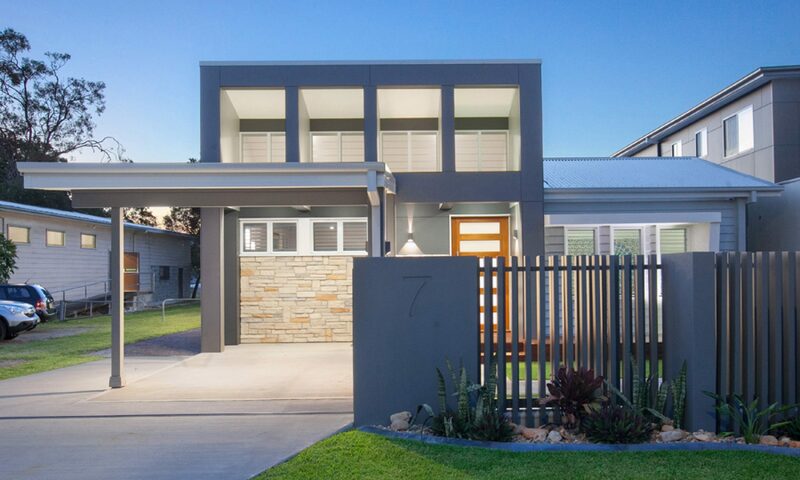 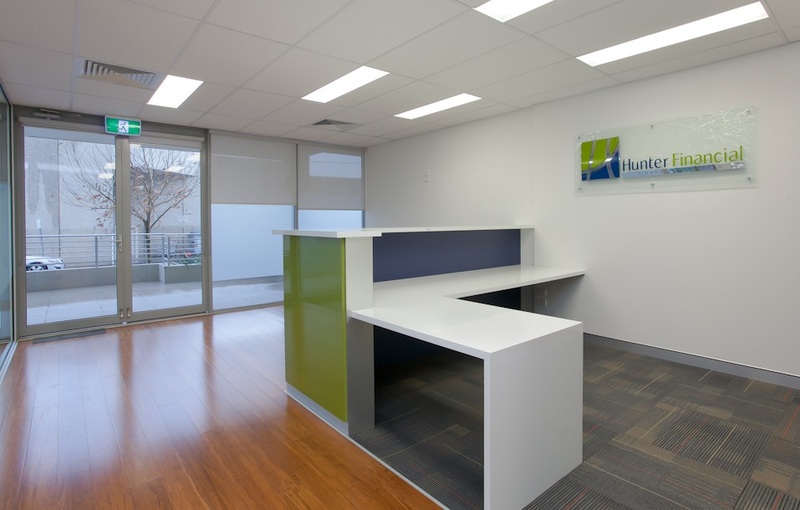 This project is a new office fitout for the local financial planning company, Hunter Financial Services. 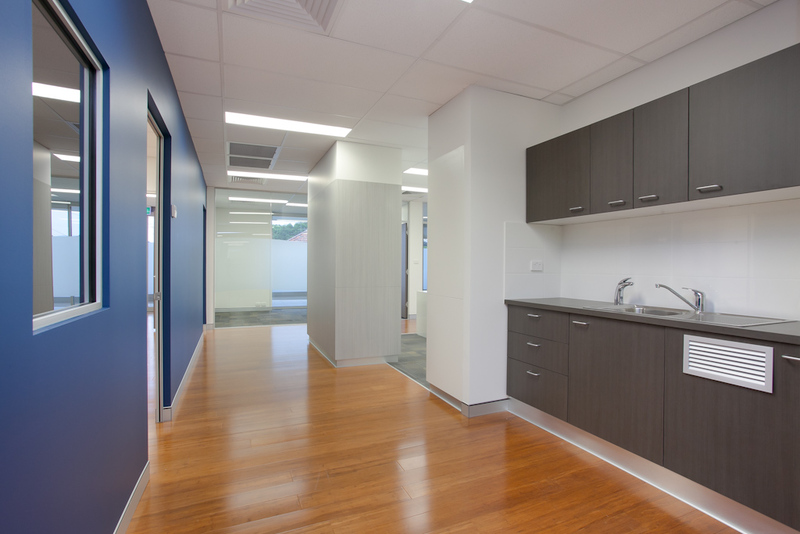 The brief included three meeting rooms, a reception area, an open plan workroom and staff amenities. 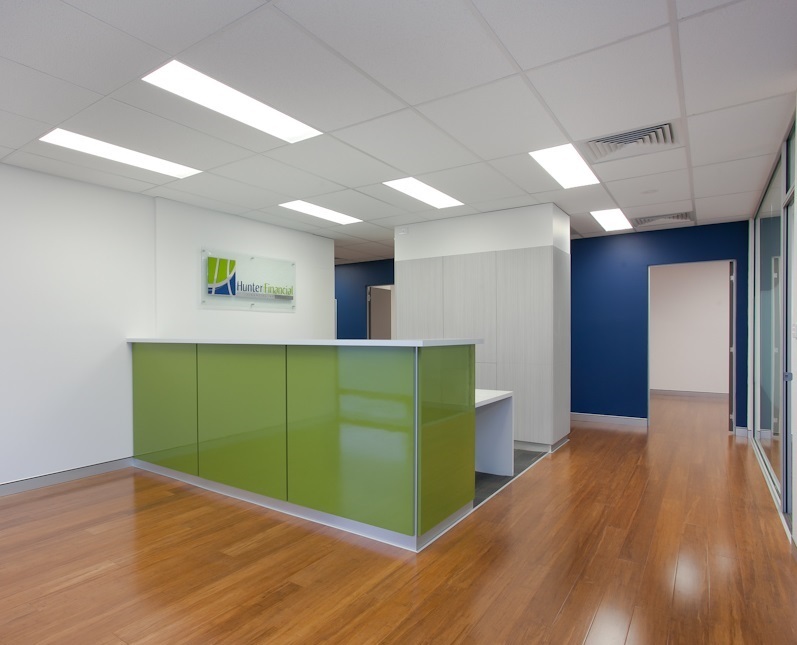 The colour scheme worked with the company’s corporate colours.